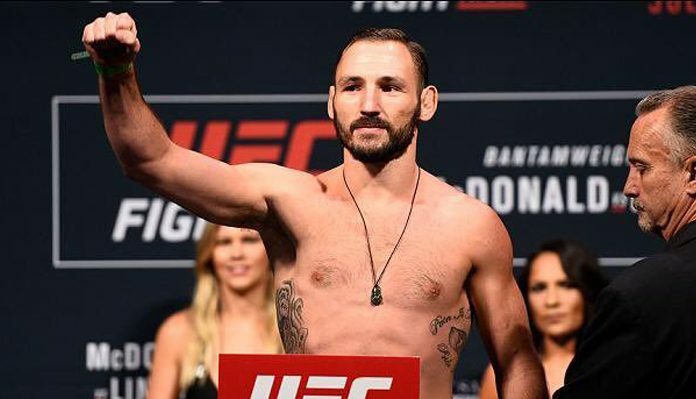 Lando Vannata is staying with the UFC. The lightweight announced on his Instagram account that he’s signed a new four-fight deal with the Las Vegas based promotion. “Signed back up for four more fights with the @ufc. Buckle your seatbelts and hold on tight, 2019 is gonna be a wild ride” Lando Vannata on Instagram. Vannata (9-3-2) made his UFC debut in 2016 on short-notice where he put on memorable performance against Tony Ferguson at UFC Fight Night 91. Not only did he nearly finish “El Cucuy” but he earned a Fight of the Night bonus for his performance despite losing the fight. The setback snapped his eight-fight unbeaten streak. He followed that up with a highlight reel performance against John Makdessi at UFC 206, where he knocked out the Canadian with a wheel kick in the first round. Since that fight in Dec. 2016, Vannata hasn’t been able to get in the win column. The 26-year-old would lose a unanimous decision to David Teymur at UFC 209. He was later slated to face Abel Trujillo at UFC 216 before an injury forced “Killa” out of that fight. Instead he fought Bobby Green, whom he battled to the first draw of his career. He would then square off against fellow RFA veteran Drakkar Klose at UFC 226 last July and once again come out on the wrong side of a unanimous decision. Once again however, he earned Fight of the Night honors for that performance. This past November – despite putting on another entertaining performance – he went to another draw against Matt Frevola at UFC 230. Vannata is now winless in his last four-fights. When he steps back into the Octagon this year, the former Jackson/Wink product will be looking for his first win since Dec. 2016. Prior to joining the UFC in 2016, Vannata went 8-0, finishing seven of his opponents during that span. Since his last win, Vannata has gone the distance in his last four fights. This article first appeared on BJPENN.COM on 1/4/2019.